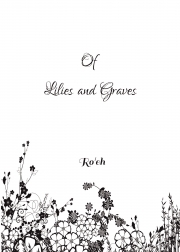 Description of "Of Lilies and Graves"
This collection of poems touches on various day to day emotions of Motivation, Loss, Sadness, Happiness, Gratitude as well as Relations with Mother, Father, and sister. It also dwells upon topics of alcoholism. A few poems also carry the idea of love, serendipity. All in all this set touches upon areas that a majority of us are aware to, emotions that we have felt, relations that we value . The author is a graduate from Netaji Subhas Institute of Technology ( Delhi University ) . The author is currently serving in IRTS ( Indian Railway Traffic Service ) This is author's first attempt at writing . Reviews of "Of Lilies and Graves"